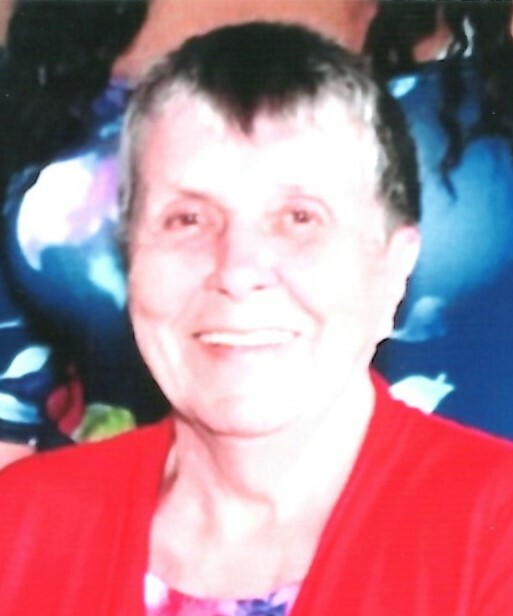 Obituary for Grace Mary (Hagerty) Hess | Shore Point Funeral Home and Cremation Services, Inc.
Grace Mary Hess, 88, of Hazlet, New Jersey, passed away peacefully on Wednesday, April 3, 2019 at Care One in Holmdel. She was born Grace Mary Hagerty om March 20, 1931 in Brooklyn, New York, where she grew up. After marriage, Grace and her husband, Frank, began their family in Brooklyn, before settling in Hazlet, New Jersey where they continued to raise their family. She was predeceased by her parents, Charles and Grace (Shea) Hagerty, her beloved husband, Frank Joseph Hess, and her dear sisters, Agnes and Rosemary. Grace is survived by her loving children, Doreen Hess and husband, Donald Lubowicki, of Florida, Frank Hess and his wife, Linda, of Browns Mills, New Jersey, Timothy Hess and his wife, Christina, of Hazlet, New Jersey, and Grace Jackson and Steve Ivory of Hazlet, New Jersey. She is also survived by her dear brother, Charles “Chuck” Hagerty and his wife, Kathleen, her cherished grandchildren, Taylor, Bennett, Vanessa, Donald, Brian, Carin, and Aaron, along with her adored great grandchildren and many special nieces, nephews, extended family members and friends. Grace will be deeply missed, but never forgotten. Family and friends are invited to visit on Friday, April 5, 2019 from 2:00 to 4:00 PM and 7:00 to 9:00 PM and Saturday morning, April 6, 2019, 9:00 AM to 9:45 AM, at the Shore Point Funeral Home and Cremation Services, Inc., 3269 State Highway/Route 35 North, Hazlet, New Jersey 07730. A Mass of Christian Burial will be offered on Saturday morning, April 6, 2019, at 10:30 AM, at St. Mary’s Chapel, Middletown, New Jersey. Interment will follow at Green Grove Cemetery, Keyport, New Jersey. For information, directions, or to send condolences to the family, please visit, www.shorepointfh.com.